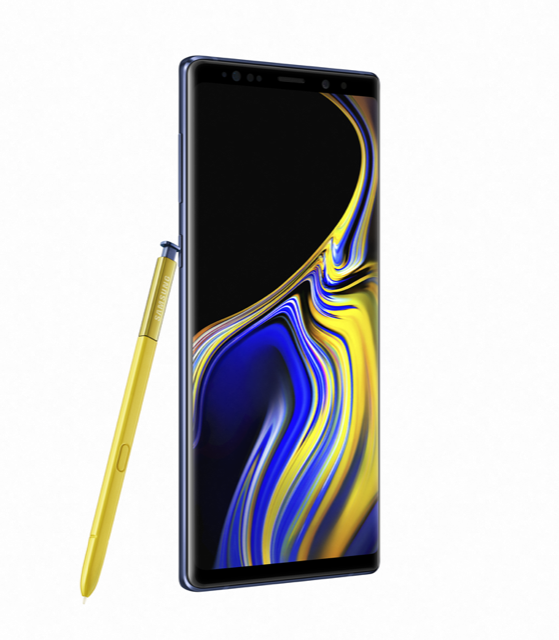 Cairo, Egypt, 9 August 2018 – Today marks a much awaited day for tech savvies, as Samsung announces the official global launch of the latest edition of its flagship device: the galaxy Note 9. The new device is second to none when it comes to camera and performance features. It is also equipped with Samsung’s exclusive technology, the S Pen, making navigation and control that much more convenient. Memory “do more & save more”: the Galaxy Note 9 offers an internal storage of 128 GB or 512 GB and an external storage up to 512 GB. Battery: powerful, all day battery. It is considered the most powerful battery in the Galaxy Note series with 4000 mAh, as well as a wireless charging option. A remote control with Bluetooth built in. Upgrades productivity and creativity - the S Pen is perfect for taking quick notes instead of writing on a paper, paste in an image from a gallery, or copy a handwritten note from one chart to another. Remote controlled selfies – it can launch the camera, take pictures, and change between front and rear cameras. An eye like lens: dual aperture (lens adjust automatically to lighting conditions, F2.4 for well–lit environments, and F1.5 for lowlight). Smarter, more expressive photos: color and contrast optimization; it recognizes 20 kinds of scenes and optimizes color settings to suit the content. The Galaxy Note 9 has two eyes: one captures the background and the other homes in on the subject of focus (dual capture). Live focus with Bokeh effect: adjusting depth of field. Super SlowMo: record up to 20 video segments at 960 frames per second. AR Emojij creating user-resembling avatars. القاهرة في 9 أغسطس 2018 –أعلنت سامسونج إلكترونيكس اليوم عن الإطلاق الرسمي لهاتف جالاكسي Note9، أحدث هواتفها المتميزة الذي طالما انتظره محبي الأجهزة والابتكارات التكنولوجية فائقة التطور. الهاتف الجديد يتميز بكاميرا استثنائية لا مثيل لها، هذا بالإضافة لأدائه القوي الذي لا يُقارن بأي هاتف آخر في فئته. إلى جانب ذلك، تم تزويد الهاتف بباقة من الوظائف والخصائص التكنولوجية الحصرية من سامسونج، بالإضافة لقلم S Pen الذي يُعد الأفضل على الإطلاق ، مما يجعل التصفح والتحكم في الهاتف أكثر سهولة وملائمة أكثر من أي وقت مضى. .
يتم طرح هاتف جالاكسي Note 9 في نسختين، الأولى بذاكرة داخلية 128 جيجا بايت ونسخة أخرى بذاكرة داخلية 512 جيجا بايت، هذا بالإضافة للذاكرة الخارجية التي تصل حتى 512 جيجا بايت. فمن خلال هذه الذاكرة الهائلة، يوفر الهاتف للمستخدمين إمكانية حفظ المزيد من البيانات والصور والملفات.